I have always loved upland landscapes. Perhaps that comes from growing up in Scotland and holidaying in the wild places of the West Highlands. As a student I did my first archaeological survey work on Exmoor with the Royal Commission on the Historical Monuments of England, and found myself tramping across the open moor surveying everything from prehistoric cists to a post-medieval gatepost factory. The experience I gained during that time shaped my future career. 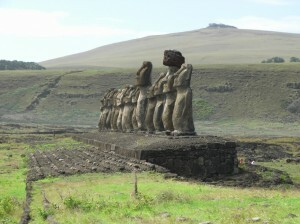 It also opened my eyes to the archaeology which surrounds us, and made me view landscape in a completely different way. 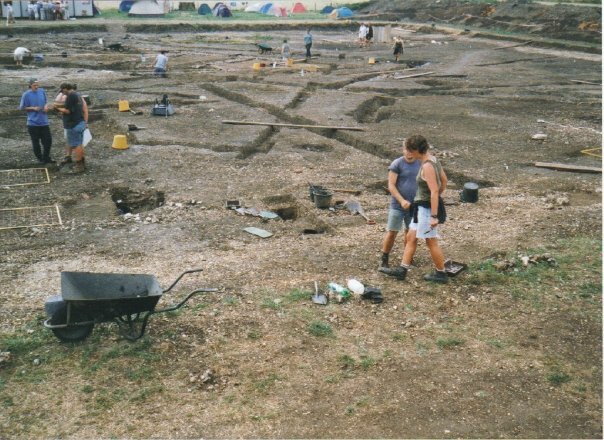 In 2006 I was fortunate enough to take charge of the English Heritage Mendip Hills project, a multi-disciplinary fieldwork project examining the archaeology and architecture of this remarkable corner of South-West England. The Mendip Hills are perhaps best known for the spectacular chasm of Cheddar Gorge which slices through the southern escarpment of this gently undulating Carboniferous Limestone ridge. Mendip is a region of great beauty and diversity. The small irregular fields which characterise the lower escarpment slopes give way to an ordered geometric grid of stone-walled enclosures on the plateau, with grass and heather moors capping the highest hills. 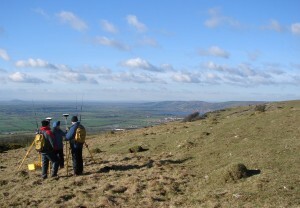 Looking west along the southern escarpment of the Mendip Hills: the Carboniferous Limestone ridge rises abruptly from the flatness of the Levels and Moors. 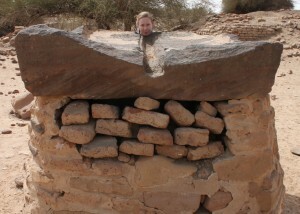 The archaeology and architecture of the region is equally as varied and remarkable. During three years of fieldwork I had the opportunity to survey a wide range of sites, including Neolithic long barrows, Later Prehistoric hillforts, Romano-British settlements, medieval castles, post-medieval village houses and abandoned farmsteads. And the list goes on! What is striking to me, however, is that the dominant story which has emerged from our work is one of adaptation and change. 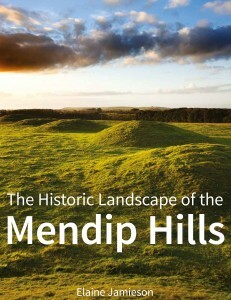 The landscape of Mendip has been fashioned over many generations and is a product of its past. The modern fields, for example, often follow the same pattern as abandoned terraces of medieval strip fields, which themselves can overly and incorporate elements of earlier field systems. Many village houses also reflect the footprint of much earlier structures, encapsulating the past in the present and creating a historic grain still visible today. The Mendip Hills are a living place and the people who now occupy the farmhouses, village houses and cottages create their own history. There is a long and vibrant tradition of archaeological enquiry on Mendip, ranging from antiquarian investigation undertaken by the likes of the Revd John Skinner, to the work of independent groups and professionals in more recent times. A key aspect of the Mendip Hills project was to deliver a training programme for local community groups and individuals focused on practical techniques of archaeological and architectural fieldwork. 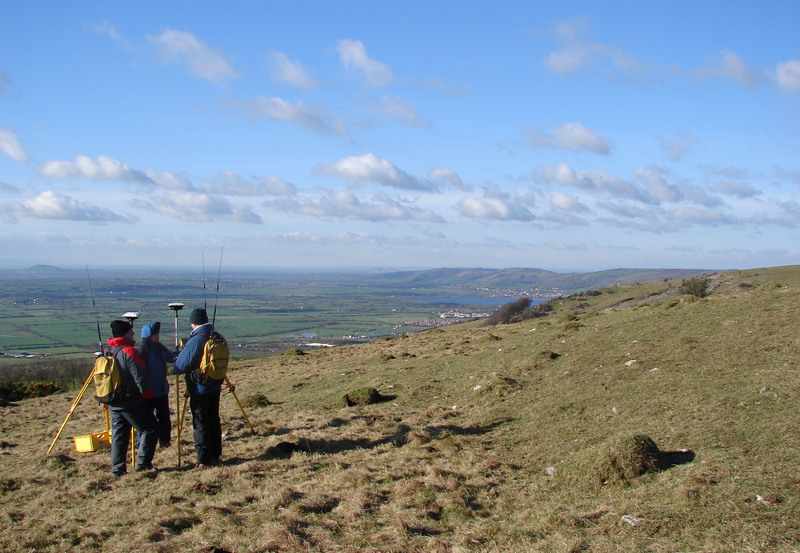 By passing our expertise on to others, we hoped to equip local people with the range of skills required to enable this fieldwork tradition to continue on Mendip for many years to come. 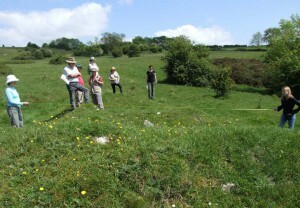 Discussing the interpretation and recording of the earthwork remains of a building at Ramspits, Westbury-sub-Mendip, during an English Heritage training event. Delivering training can be a hugely rewarding experience. You meet enthusiastic and interesting people who can often make you view even a familiar site in a new way. Over the lifetime of the project I was part of an experienced team who provided training in techniques of landscape investigation, including aerial photographic transcription, analytical earthwork survey, architectural investigation, geophysical survey and archaeological excavation. Beyond the structured training events, a number of local people and students also gave their time generously to help on site with survey work (often on cold, damp Mendip winter days!). The project benefitted hugely from their input as without fail they generously imparted their ideas, personal research and local knowledge. An added benefit to come from the training events was that they brought members of different local archaeological and historical societies together, giving them the opportunity to discuss their current research and fieldwork. 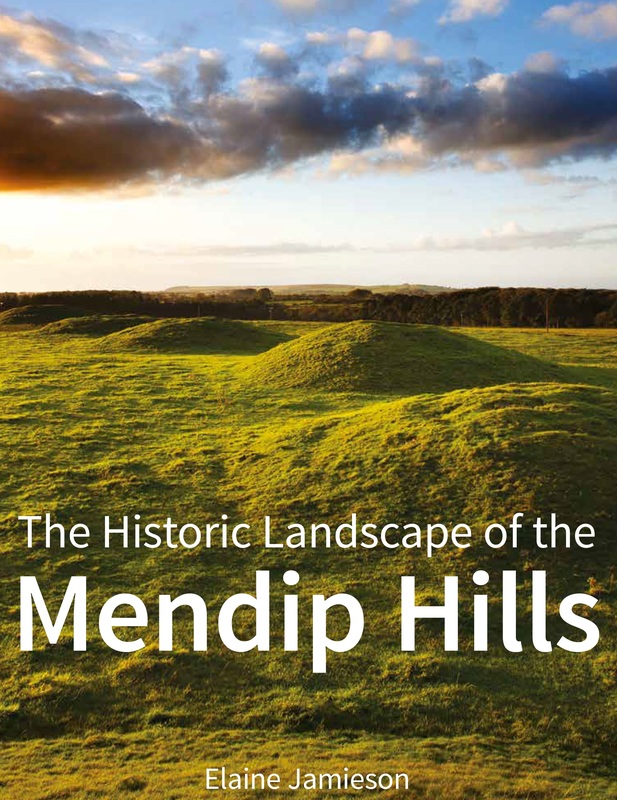 The results of the English Heritage fieldwork project will be published on the 15th July in a book entitled The Historic Landscape of the Mendip Hills. I am pleased to report that fieldwork on Mendip continues to this day. Hopefully the project has helped focus and stimulate research, and given local people the skills and confidence to undertake fieldwork of their own. Ultimately it will be the amazing archaeology and fascinating buildings of Mendip that will continue to drive people to undertake new and exciting fieldwork in the future. 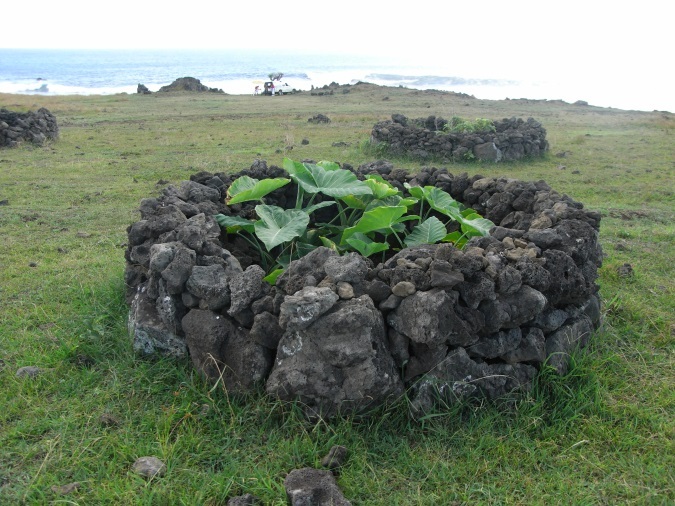 Inter-disciplinary approaches to landscape archaeology. Analytical earthwork survey and investigation. 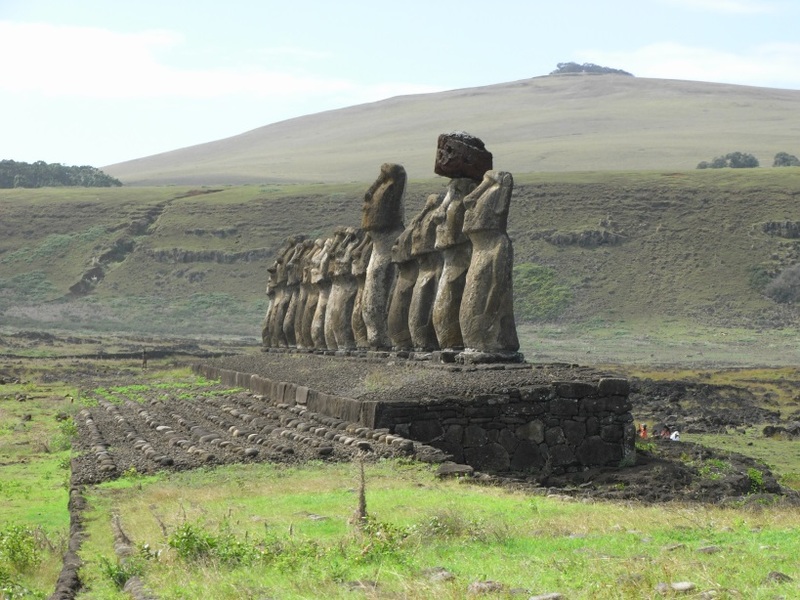 The archaeology of medieval and post-medieval monuments and landscapes. 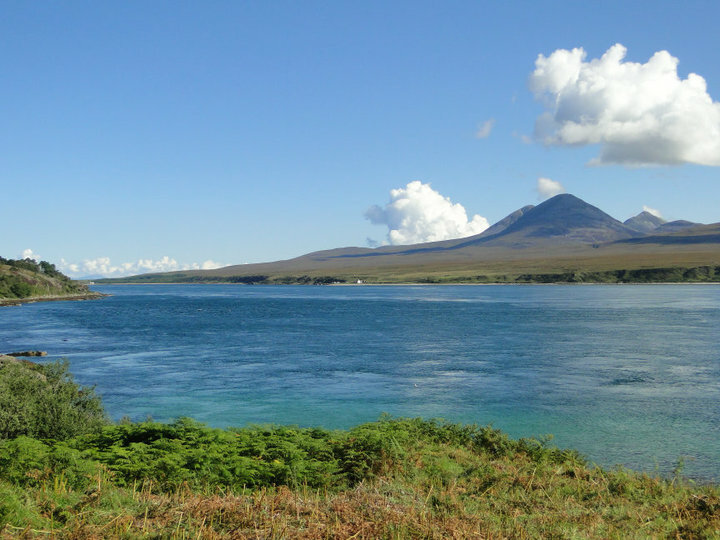 Elaine Jamieson is a Research Assistant working on The Leverhulm Trust funded project Extending Histories: from Medieval Mottes to Prehistoric Round Mounds. Her work is mainly focussed on the assessment of monuments at a landscape scale and the more detailed analytical earthwork survey of sites and monuments, working as part of an inter-disciplinary research team. 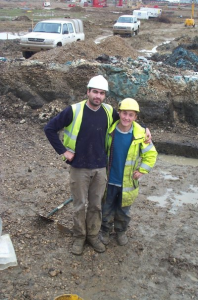 Elaine worked as an Archaeological Investigator with English Heritage for over 14 years, specialising in analytical earthwork survey and landscape investigation, latterly managing a small team of archaeological and architectural investigators. Prior to English Heritage, she worked for the Royal Commission on the Ancient and Historical Monuments of Scotland on their Historic Landuse Assessment project, aimed at characterising the Scottish landscape. During her time with English Heritage Elaine was involved in several large landscape projects, including on the Quantock Hills, Dartmoor and Stonehenge. She has also undertaken applied research on a wide variety of archaeological sites, ranging from the medieval settlement and post-medieval gardens at Kirby Hall, Northamptonshire, to the Neolithic henge of Priddy Circle 1, Somerset. 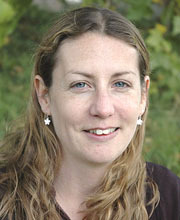 Between 2006 and 2009 Elaine was responsible for the delivery of a major multi-disciplinary landscape project focused on the Mendip Hills Area of Outstanding Natural Beauty (AONB), and has authored the monograph of this work. More recently she has undertaken fieldwork at the Pleasance, Kenilworth, and was the project manager for the English Heritage Fieldscapes of England project, before joining the Department of Archaeology in 2015. Recanting the thoughts of my trips, I consider it to be one of my most inspirational experiences. The idea sparked with trying to understand part of my own people, yet as a citizen of Kenya, I was yet to embark into the unknown. Kibera or ‘Kibra’, meaning outskirts of the forest, as the original Nubian settlers named it, is a place that has a negative perception and feared by most outsiders, since its inception in precolonial era of the growth of the Kenya-Uganda railway in the late 1800s’. Now about 50 years later post independence, I began my trip with zeal to gain a further understanding of this unknown, first by identifying relevant contacts to start my research and also approach the community and this is where I met, Bernard, a resident and community worker in Kibera who was eager to assist me with networking. I have been able to conduct a number of in-depth interviews and focus groups which has been smooth sailing. And the results opened my eyes! 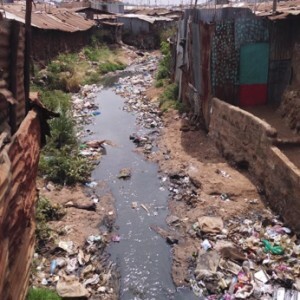 After reading tons of papers and watching media on the largest urban ‘slum’ in Africa, nothing could have prepared me to witness how poverty stricken the people’s livelihoods are, living under a dollar a day with limited access to water and sanitation, as if living in a different world to the rest of city. Furthermore, women and water cannot be disassociated when you step into this realm. 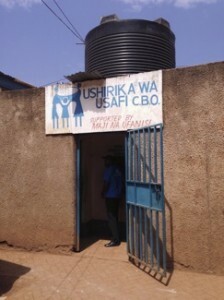 Water collection for household use (cleaning, laundering, cooking and bathing) is mainly carried out by women. However, there is an aspect that denotes a lack of gender equality and a traditional approach. 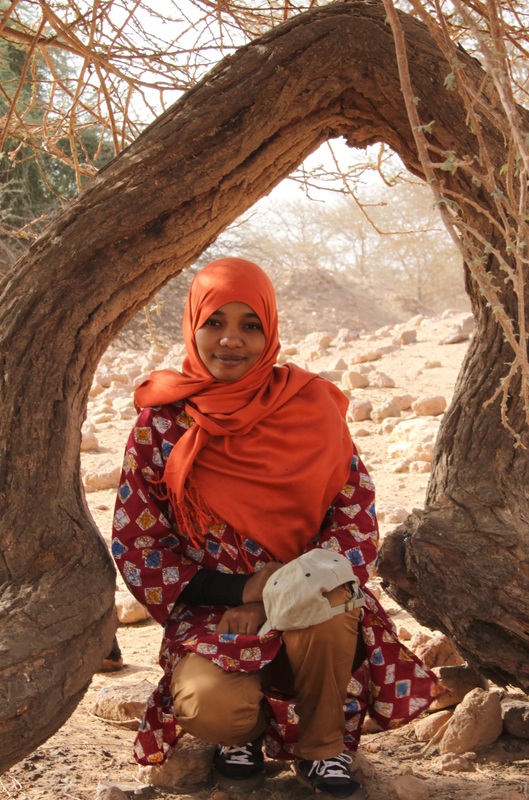 An interviewee states: “ It is the responsibility of the woman to fetch water…They (men) say that their job is to go for work and the women to fetch water. Even if the woman has work or is tired she will still fetch the water”. A change in beliefs and norms should see a shift in the role of women in water resources, due to their daily interaction with the resource, from the practical to management aspect. Despite the difficulties posed, it is in this same “eyesore” that is Kibera, where inspiration for hope emanates, hope in despair, that is not shared with the rest of the city. A sense of belonging, multicultural and historical heritage seems to challenge the impossible. A much refreshing change as ethnic-related conflict after the general election in 2007, posed a big threat to Kibra’s existence. Community based organisations and NGOs flourish to ensure access,quantity and quality of water and the surrounding environs is present, vital tools under which the community manages its water and sanitation. 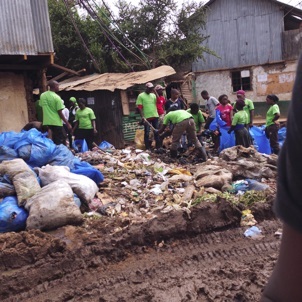 Kibera is their home, and in the constant struggle and through their action, is the underlying plea of help. facilities at an affordable rate. Leaving Kibera every early evening, I would experience the dichotomy clearly present within the city in Nairobi. 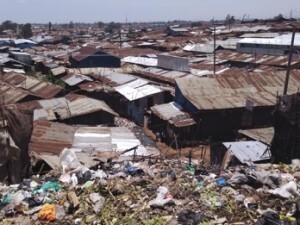 Feeling elated that amidst all the hardships there is a voice amongst the poor, a voice that leads researchers such as myself to pen and tell a tale, and a voice that has resonated in forthcoming outside assistance of new slum upgrading projects and programs to create a new face for Kibera. A powerful message to all that it is indeed time to “burst the bubble”. 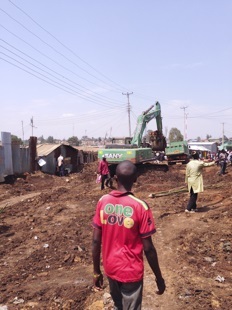 undertaking slum upgrading in Kibera. 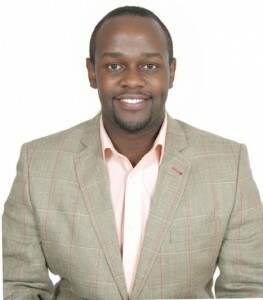 Dennis Mailu is a PhD student at the University of Reading exploring urban ecosystem governance. Dennis is supervised by Professor Emily Boyd and Dr. Giuseppe Feola. 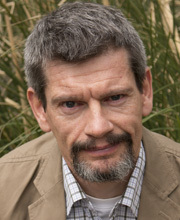 He is a member of the SAGES Human and Environmental Group as well as the SAGES Resilience lab. My first real experience of qualitative fieldwork was for my undergraduate dissertation; while the content analysis of the newspapers went fine, I felt that the interview I conducted was fairly terrible. Although I had my questions answered I remember how uncomfortable I felt and how clunky it all sounded. 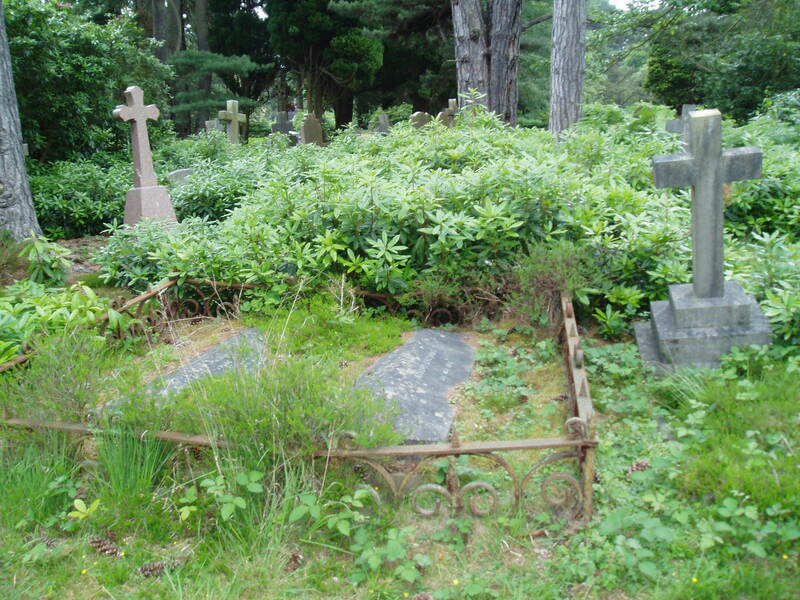 In fairness, I had only done physical geography methods on my course but this experience made me retreat from human interaction in my MSc dissertation where I opted to hang out in a cemetery archive, which had the dual merits of being air-conditioned (it was a hot summer) and the dead people didn’t speak back. Since those early days I’ve got a lot more confident with interviewing people and this is now my preferred technique. I think what made it easier was the realisation that this was just a conversation, albeit one where you had certain things you wanted to find out; in addition, people tend to respond pretty well to interest being shown in them/their company/their ideas so in general you actually have a receptive participant. Although since people choose whether to be interviewed by you there is clearly significant self-selection with some perhaps very interesting people opting out. I really enjoy speaking with people and listening to their perspectives and experiences but developing that sense of rapport isn’t always so straightforward. Sometimes I’m amazed at the way things come out my mouth with the phrasing just making it sound like I don’t really have a clue; other times its effortless and the conversation just flows. Sometimes it takes a while for both the interviewee and I to warm up; other times they talk for 15 minutes from the first question (at times covering other questions on my list, sometimes just rambling but breathing in unexpected places a la Thatcher, which makes it hard to anticipate how to interrupt their flow). From my experience, rapport is generally strengthened by being prepared both in terms of knowledge (although willing to expose the areas that you are less familiar with) and questions (as its easy to disappear down a tangent particularly with the verbose respondents). Furthermore, just demonstrating your general enthusiasm and particular interest in them and what they have to say is a great foundation for encouraging people to speak from their own experience and share stories with you. In South Africa, the direct interviewee-interviewer is disrupted as I don’t speak Afrikaans so this adds to the challenge of developing rapport as how can you do it when you don’t speak the language? However, after my rather naive experiences last time of speaking through the farm managers when I needed to speak to some of the workers, this time I’m working with an excellent, experienced and independent Afrikaans translator and research facilitator. She has a lovely presence and is passionate about ethical and sustainable trade so is a great colleague to have but in the focus groups we’ve run with farmworkers, I feel even more of an outsider and as if I’m observing the process. Haai, my naam is Agatha en ek kom van die UK. 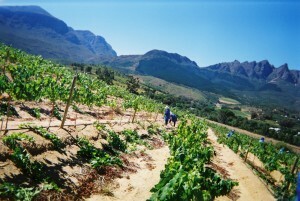 Ek is ‘n navorser en ek is geinteresseerd in Fairtrade en wijn. Ek is jammer maar ek praat nie Afrikaans, maar my kollega doen! Everyone seems very pleased that I’ve made the effort and congratulates me on my pronunciation and the fact that they can understand what I’m saying! I think it disrupts the power balance a little as it makes me feel a little exposed (particularly when I forget certain words) while also demonstrating my interest in hearing what the farmworkers have to say in their own language. It’s interesting as sometimes I can follow conversations (there is a close enough similarity to German in a number of words) but the dynamic of asking questions also feels odd, as I feel almost as if I’m intruding in someone else’s project! They could run perfectly fine without my presence, which also feels odd as I’m used to doing research by myself. The focus groups have definitely worked well and its been useful in giving me insights into how to run them and how to encourage participation. They have also highlighted the power relations inherent to any research process and, for me, encouraged me to consider ways to try and disrupt these. The other thing I’ve been reflecting on in relation to fieldwork has been clothing – what should I wear? I carefully packed a smart-ish skirt and a selection of smarter tops, which I mainly haven’t worn. I have mostly done interviews in shorts, sandals and one of my smarter looking vest tops as firstly its been far too hot and, secondly, I just feel more comfortable. People mostly seem to dress more casually and so I felt that it was better that I don’t appear too different in terms of how I dress, plus if I’m feeling more comfortable and relaxed that will reflect in my interviewing style and, hopefully, a better chance of developing rapport. Plus, when speaking with the farmworkers they have mostly been in their work-wear of blue overalls monogrammed with the company logo, heavy footwear and monogrammed caps. I am already clearly an outsider but by wearing my normal clothes I hoped to avoid too formal an atmosphere, which could arguably put off people from speaking particularly if they weren’t used to being in a focus group or being interviewed. Before I arrived I had a sort of expectation of how I should dress and act in a ‘professional’ manner and, while this is sometimes part of my persona, I think in general research goes more smoothly when you are more relaxed as this is more conducive to allowing enthusiasm and interest to shine through; for me anyway. There are obviously a whole host of other factors that have and are shaping my fieldwork experiences in this particular context including, amongst others, gender, race, age and nationality but for some reason clothing and trying to develop rapport in a foreign language have been at the top of my mind. Agatha is a human geographer with interests in geographies of ethics and justice. In particular her research explores the role and impacts of socio-economic and environmental ethics in production systems and spaces. 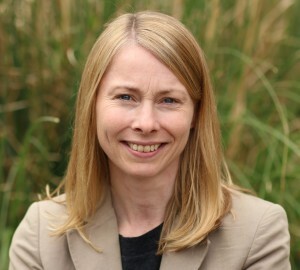 She currently holds a Leverhulme Early Career Fellowship in which she is investigating the capacity of Fairtrade to promote resilient and ethical development within and beyond its producer communities. 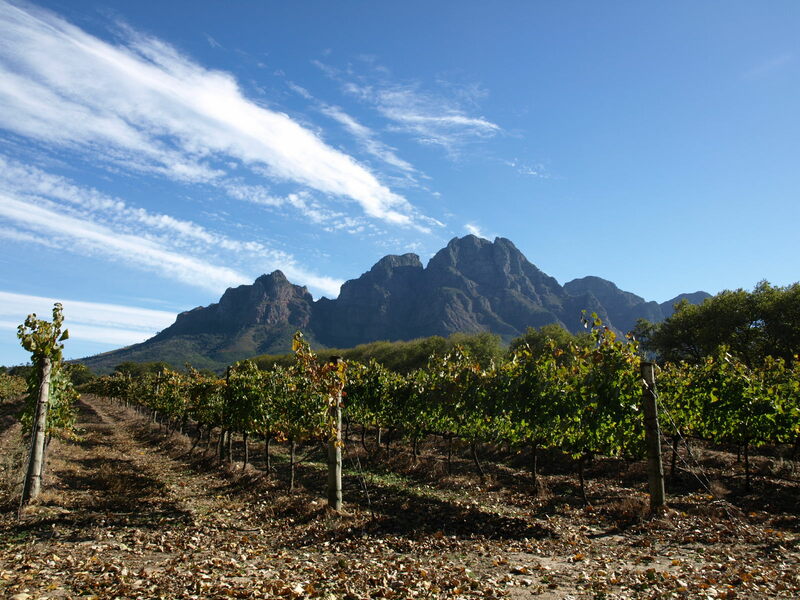 Building on her PhD research, this focuses on the Fairtrade wine sector and will involve fieldwork in South Africa, Chile, Argentina, Tunisia and Germany. 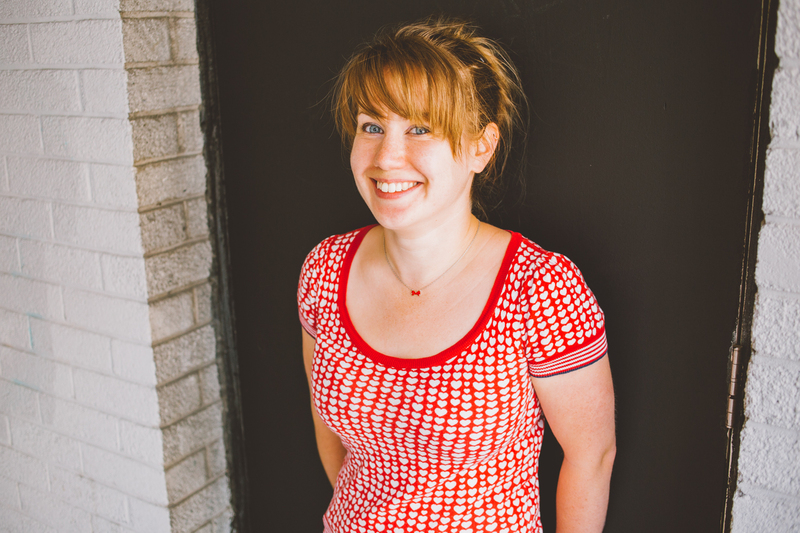 Agatha will also be returning as a Visiting Scholar at the Ruralia Institute, University of Helsinki in 2015 to develop her current research project ‘Negotiating Resilient Production’. In this she explores the interactions between social, economic and environmental imperatives within farmers’ decision-making in a multi-sited study across Finland and the UK. In addition, Agatha has interests in social transitions, particularly exploring the experiences of those leaving the military and the spatial and social impacts that this has on individuals. This develops ideas around identity, care, social responsibility and spaces/relations of power. 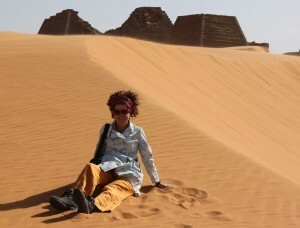 Agatha has a PhD in Human Geography from the University of Exeter as well as an MSc in Society and Space and BSc (Hons) in Geography from the University of Bristol. 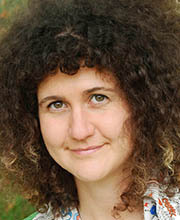 Prior to joining the University of Reading in September 2013, she held a lectureship in Human Geography at Plymouth University. She has also conducted postdoctoral research on spaces of postsecular engagement in European cities at the University of Groningen (2010) and the impacts of the economic recession on charity shops at the University of the West of England (2011). 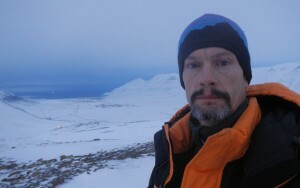 I have undertaken fieldwork in some pretty cold places over the years (e.g. Canada, Greenland, Norway, Finland, Siberia) and I have learnt a lot in the process. If you are planning fieldwork and you think it might be cold, the following commentary may be of some use to you. That said, I have no doubt that those of you out there with experience will disagree with some (or all?) of what I will say. Clothing choices, after all, can be very personal. Páramo-girls* and Buffalo-boys** will be particularly irate about the comments I make in Part 2 of this blog, I suspect. Firstly, when does it feel the coldest? I have felt coldest in temperatures between -5°C and +5°C. This may sound daft. Surely it is colder when the mercury drops below -5°C? Well, yes, it is colder, but it does not necessarily ‘feel’ colder. It is very complicated (you need to take into account the temperature, humidity and dew point), but essentially a damp-cold feels colder than a dry-cold. 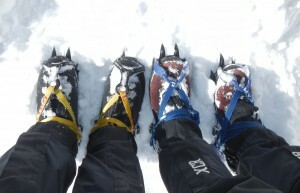 In very cold conditions a dry-cold is more likely, so it is colder, but does not feel colder. I remember conducting a topographic survey with a colleague in northern Finland many years ago, I was wearing five layers of clothing and I was still cold. I had to do shuttle runs after each survey leg just to warm up a bit. The air temperature was about +1°C. Below -25°C is serious frostbite territory and even if you don’t feel cold you can easily acquire cold injuries (frostnip and/or frostbite), but this is extreme and most people will not experience such cold. 1. 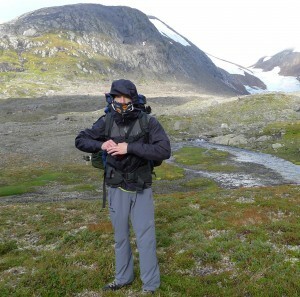 Do not wear garments made from cotton when conducting fieldwork in cold climates. Especially do not wear them next to the skin. When cotton gets wet it loses all insulation value and, critically, it holds that moisture and chills the wearer. This is why many mountaineers and backpackers call it ‘killer-cotton’ and why jeans have long been banned on geography fieldclasses. 2. Dress in ‘layers’. The layer principle has been around for a long time and the general idea is that three thin layers are better than one thick one because air is trapped not only within the layers but between the layers (still air is the best insulator). Also three layers are more versatile than one (which is either ‘on’ or ‘off’), so you are more likely to achieve the right thermal balance between body/workload and environment. 3. Avoid sweating at all costs, as this is the key to remaining comfortable in the cold. The problem here is that most people wear too many clothes when outdoors in the cold, especially when working (carrying loads, digging snow pits, coring etc). You should wear the minimum. If you are warm enough when stationary, then you will be much too hot when moving/working. Constantly adjust your microclimate by ventilating/removing a layer or zipping up/adding a layer, as appropriate. Fieldwork in the mountains of northern Norway. Cool and damp. Plenty of layers needed! 4. Following on from 3. above, you should add a layer when you stop moving/working and before you get cold. If you were wearing too much in the first place (you did not follow rule 3! ), you will have been sweating and when you do cool down you will feel really cold. 5. Always keep key insulation items dry. This might mean not deploying certain clothing types if you are wet or the weather is wet. Putting on a jacket filled with goose down at a time when it is going to get soaking wet is a very bad idea. Down jackets are useless when they are wet, the down clumps together and all the dead air space is lost meaning they won’t keep you warm. They are best kept for sub-zero conditions or when you are stationary and under cover (e.g. in the mess tent at the end of a long day). 6. Always pack an emergency warm item (e.g. 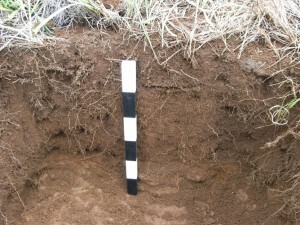 an extra mid-layer). I always carry a pullover made of a reasonably windproof material lined with synthetic insulation as an emergency spare in the bottom of my rucksack (in a waterproof stuff sac). This can be put on if you get really cold due to a change in weather or an enforced period of inactivity and can be used in wet or dry conditions. 7. Eat and drink regularly. The body can generate a lot of heat if it has the fuel to do so. Similarly, if you get dehydrated your temperature regulation system will falter. That’s it for now. Next time I will deal with the ‘layers’ of a good cold weather clothing system and talk about fabrics and the like. *Páramo offer waterproofs (and many other garments) that use a completely different technology from membrane-based Gore-Tex and the like. Many serious outdoor professionals use them because they are hard-wearing and the designs include ventilation options as standard (e.g. ‘pit’ zips). Don’t knock’em, unless you’ve tried’em. **Buffalo Systems produce garments that have a fibre-pile (what we used pre-fleece) inner and a pertex outer, so they are both windproof and breathable. They are great garments (and have a strong following), although appear to promote an ‘anti-layer’ approach to keeping warm. Hazards; Glacial & Periglacial Geomorphology. The Okstindan Research Project has a Research Station (‘Okstindhytta’) located in the mountainous Okstindan area of northern Norway. The Project has been running for over 30 years and the station has provided a base for teaching and research for the whole of this period. Steve is currently the administrator of the station. Read more about Okstindan. 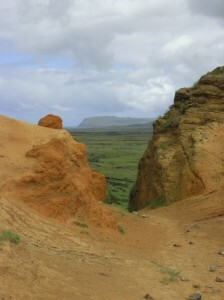 Dr Gurney also holds the position of ‘Docent in cold climate geomorphology’ at the University of Turku, Finland. Calling all 2nd and 3rd Year Undergraduates, and MA students! Do you feel like you made a difference in your summer fieldwork last year? Do you feel like you are a visible digger? The University of Manchester are undertaking a survey to find out the answers to these questions and more by examining UK student perceptions and experiences of archaeological fieldwork, and they need your help! Please follow this link https://selectsurveys.humanities.manchester.ac.uk/TakeSurvey.aspx?SurveyID=ll0Inol1 to answer a few short questions. This will take you less than 5 minutes to complete. The survey is totally anonymous so feel free to be as honest as you like. The survey will stay open until Monday 9th March 2015. This survey is being conducted by a team of students and staff from the University of Manchester, and is funded by the University of Manchester Learning through Research fund. 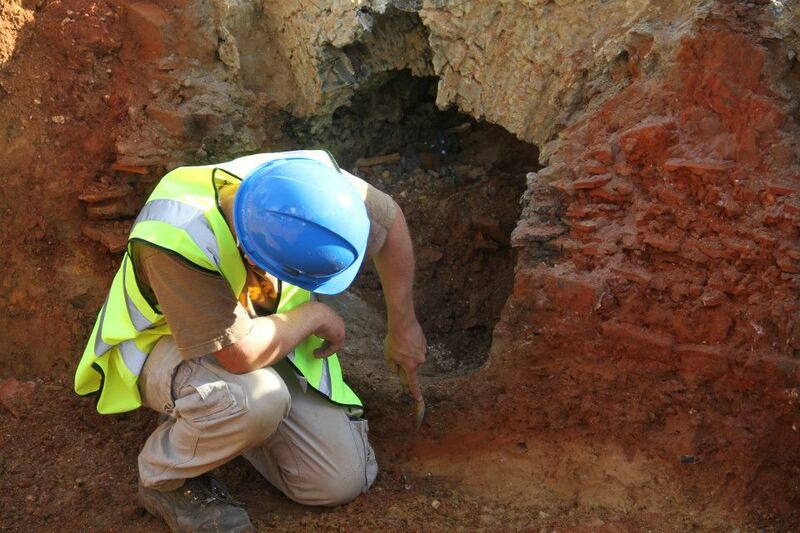 If you want to hear more about what they find, their results will be presented at the CIfA conference and in a short publication which they hope to submit to the CIfA’s The Archaeologist Magazine. 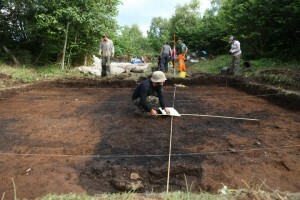 They will also be blogging about their project and presenting some of the findings on the project website https://visiblediggersmcr.wordpress.com/ so please do log on to find out more! 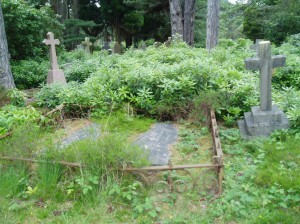 Unlike many of the contributors to this blog, fieldwork is not part of my job description. 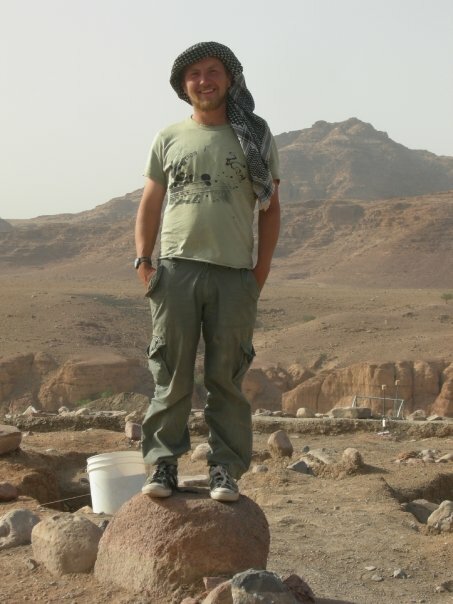 Not too long ago fieldwork was, however, a large part of my life. 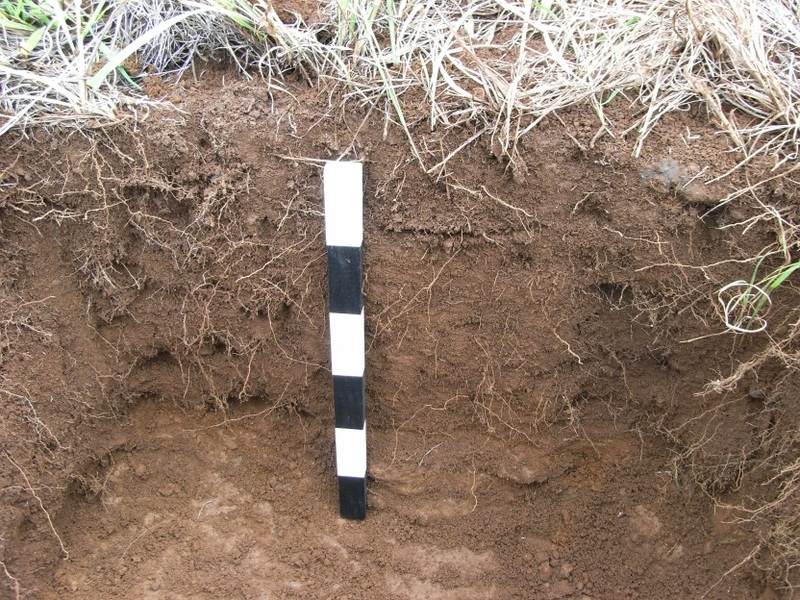 Nevertheless, fieldwork is never really far away, since I regularly update this blog with posts from staff and students, each reflecting on a wide range of fieldwork activities and experiences. In this blogpost, and taking inspiration from previous posts, I argue that fieldwork enables the development of skills for all careers. I undertook fieldwork for my BSc in Environmental Geology – this included spending a month in Melmerby, Cumbria, creating a geological map of the area from surrounding rock exposures and abandoned quarries; my MSc in Geoarchaeology – in addition to fieldtrips I spent 2 weeks on Easter Island collecting soil samples to investigate garden agriculture; and for my PhD examining in situ preservation at Glastonbury Lake Village and a section of the Sweet Track, both in Somerset – this involved sediment analysis, and over 17 months I monitored the hydrology, water chemistry, conductivity, pH, redox potential and soil moisture levels at both sites. Whilst I have worked in the field both nationally and internationally, I have studied for all of these degrees here at Reading, moving between the Departments of Archaeology, Chemistry, and Geography and Environmental Science. 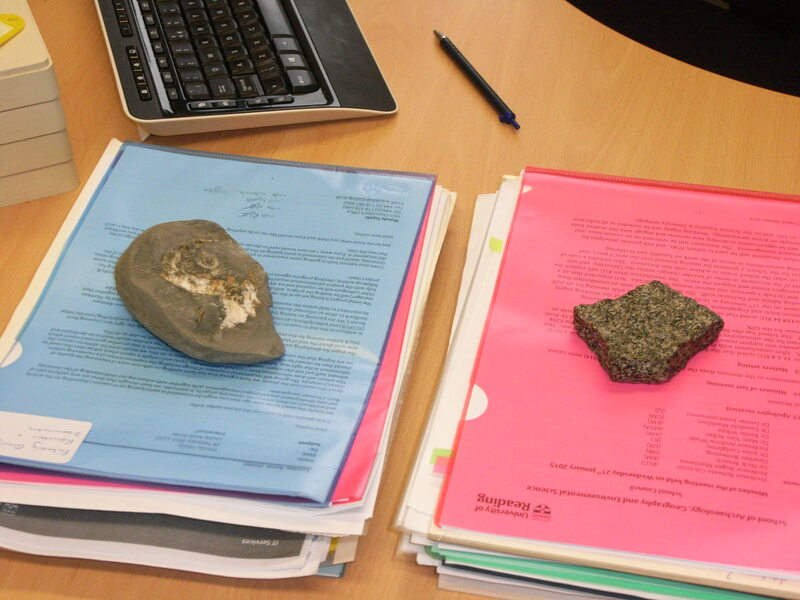 Although I spend a large amount of my time based behind a desk, my love of geology remains, and can be seen in the rocks and fossils I use as paperweights. Getting back to the point of my blogpost – I believe that the skills and experiences I have gained/built on through fieldwork are all transferable, and I continue to use them every day. This is something Izabela Stacewicz discussed in her blog post. Travelling to one of the most remote inhabited islands in the world (on my own) was certainly a huge leap out of my comfort zone. There is no denying that stretching the boundaries of your comfort zone is challenging, but for me this was, and continues to be, an important part of moving forward and testing what is possible. These range from comparatively small challenges, such as getting my soil samples through customs at John F. Kennedy International Airport in New York, in order to catch a collecting flight (I was lucky it only took 4 hours!) 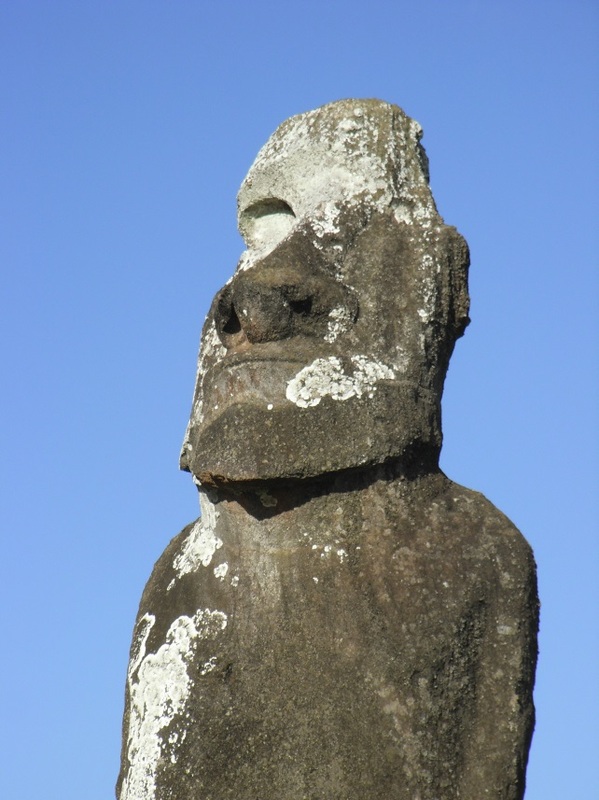 to the larger challenge of actually getting to Easter Island in the first place. 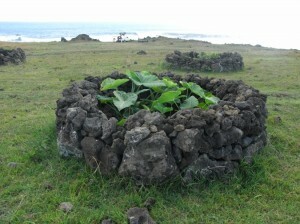 In John Carson’s post he highlighted the importance of patience during fieldwork. I would also add that persistence is also important! 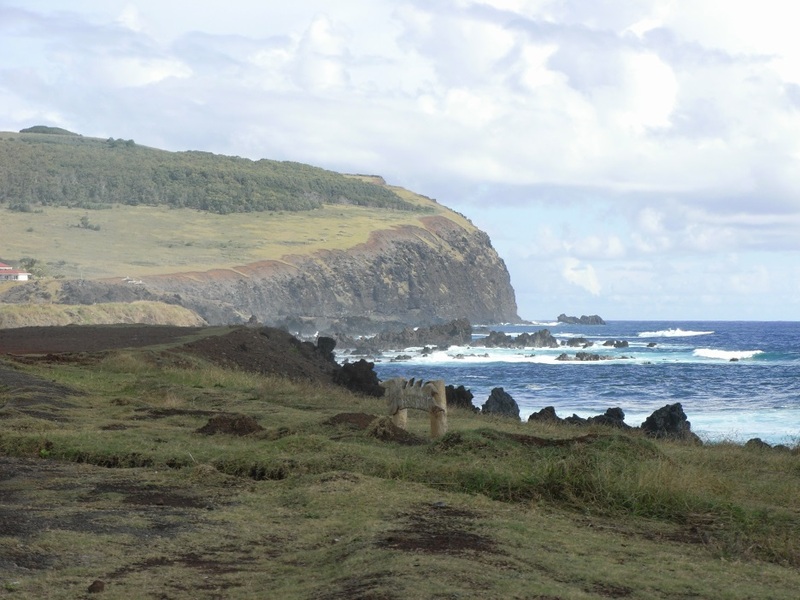 For me this involved spending many weeks emailing researchers looking for someone who would help me design a project, gain permission to work on the Island, and ultimately offer guidance in the field while they undertook their research. My persistence was successful! Fieldwork is not just about collecting samples. Analysing the samples to make sense of what you have collected/recorded in the field is also a crucial aspect of research. For me this involved learning/enhancing skills in particle size analysis, micromorphology, starch analysis, pollen analysis, phytolith analysis, X-ray diffraction (XRD) and X-ray fluorescence (XRF). 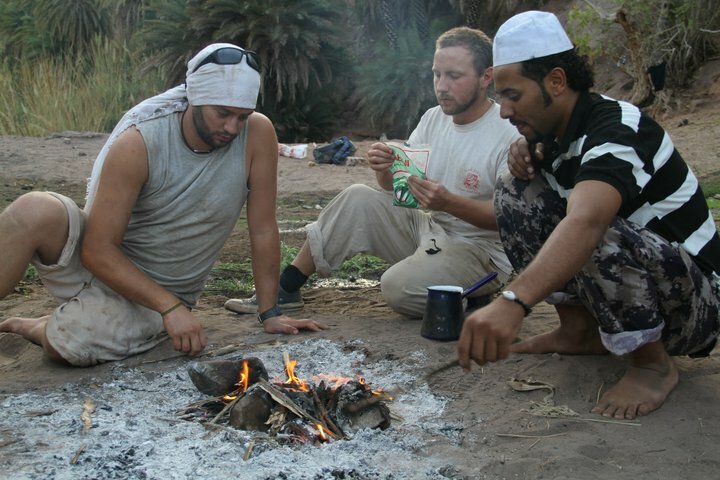 Preparation for fieldwork, the work itself, subsequent laboratory analysis, and writing up the results, all require skills in multitasking, organisation, communication, and working both independently, and as part of a team. All of these skills are also applicable, and transferable, to jobs that do not include fieldwork. Fieldwork is often not all work. While I was on Easter Island I also took the opportunity to explore, and as a consequence I rode horseback across the Island, visited many of the amazing archaeological sites, including Rano Raraku (the moai statue quarry), a number of the ahu (platforms on which the moai were erected), and the ceremonial village of Orongo (famous for the birdman ceremony), and drank Pisco sours watching the sunset over the Pacific Ocean. These are memories and experiences I will never forget. Ultimately fieldwork is what you make of it. If I can offer one piece of advice: Go for it! You never know where the skills you gain will take you. In my experience, fieldwork is one of the most rewarding parts of the research process. My qualitative fieldwork with young people and families in Tanzania, Uganda, Senegal and Ghana as well as in the UK has enabled me to develop a deeper understanding of the dynamics and diversity of family life and the importance of reciprocity in caring relations and community support networks. I feel privileged to have been able to listen to people’s life stories, even if only for the duration of an in-depth interview. The personal connections that I made with people ‘in the field’ who helped to facilitate the research, such as those who helped to identify potential families to participate, those who provided interpretation and transcription of audio-recorded interviews and those who have welcomed me and provided somewhere to stay and share meals with during fieldwork, have often developed into lasting friendships. It is now much easier than when I did my PhD research with street children in Tanzania to remain in contact with friends, local facilitators and participants ‘in the field’ due to wider access to mobile phones and the internet. 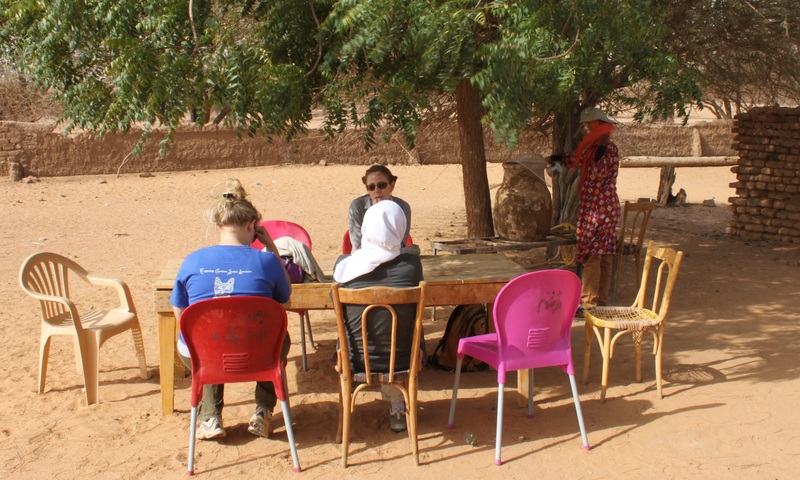 Doing fieldwork demands flexibility in the times and places that research is conducted, especially when working in the global South, to fit in with participants’ caring responsibilities, schooling/ studies and livelihood activities. I can recall interviews conducted in the dark in a village in Senegal, writing notes with mosquitoes and moths fluttering against the torch, as the orphaned young man I interviewed lacked electricity and could not afford oil for a paraffin lamp; and chaotic focus groups and interviews conducted on the street in Tanzania, with some children disappearing when income-earning opportunities arose to carry someone’s shopping and others were high on glue. I have also travelled by charrette [horse/ donkey and cart] to meet participants in Senegal. While for me this was a novel way to arrive at an interview, it was sobering to learn that this was residents’ only means of transport to the nearest health facility over 7 kilometres away; such delays sometimes resulted in the deaths of pregnant women who had complications, as had sadly happened to the wife of one widower I interviewed. Charette ride to an interview in Diourbel region, Senegal. Fieldwork may also pose ethical dilemmas for researchers, particularly when conducting research with families experiencing chronic poverty. The small expenses payment offered to participants at the end of interviews often seems inadequate in view of the basic needs and problems that interviewees have talked about. 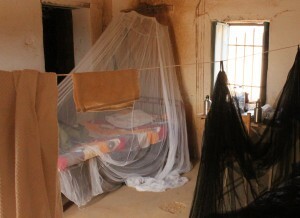 This was particularly evident in our recent research in Senegal (http://blogs.reading.ac.uk/deathinthefamilyinsenegal/), when Joséphine Wouango (http://www.reading.ac.uk/ges/about/staff/j-wouango.aspx) found that some young people asked directly for financial assistance to pay for school fees. Leaving the ‘field’ and reverse culture shock can also be difficult for some researchers and maintaining links and friendships made in the field can help to address such experiences, as well as a way of ‘giving back’. I still sometimes receive texts in Kiswahili from one young participant I interviewed on two occasions in Dar es Salaam, referring to me as ‘sister’: ‘Shikamoo dada Ruth’! Returning to the field for dissemination and to share preliminary findings with participants is often an ethical requirement and can help participants to see how their experiences relate to those of others in similar situations which can be empowering. Participatory feedback workshop with young people in Kampala, Uganda. 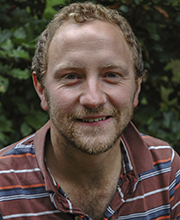 In researching ‘sensitive topics’ that involve the participant talking about intimate, difficult life experiences, such as in my research with people living with HIV, with young carers and with those who have experienced the death of a relative, fieldwork is often a very intense experience which demands considerable ’emotion work’ by researchers. I have found the cumulative effects of listening to numerous participants’ life stories emotionally draining and have sometimes felt isolated in the field, due to the need to ensure the confidentiality of information shared by participants. The emotional risks and potential harm to researchers, as well as appropriate institutional support, have only recently been acknowledged and appear to affect women researchers more than men, particularly those engaged in research on ‘sensitive topics’ (see Sampson et al., 2008 – http://soc.sagepub.com/content/42/5/919.abstract and Hubbard et al., 2001 http://www.tandfonline.com/doi/abs/10.1080/13645570116992#.VNUUfC4wCkM). This highlights the importance of acknowledging our own emotions, being reflexive about the research process (as advocated in feminist research methodologies), and providing appropriate opportunities for debriefing and discussion of emotions. In our research in Senegal (http://blogs.reading.ac.uk/deathinthefamilyinsenegal/), we have adopted a reflexive approach to understand the multiple positionings of the research team, comprised of British, Senegalese and Burkinabé researchers and seek to interrogate our own cultural assumptions (see our recent conference paper – http://www.inter-disciplinary.net/probing-the-boundaries/wp-content/uploads/2014/10/evansddpaper.pdf). We also seek to ensure that the emotions involved in doing research are regarded as a shared responsibility of the team. 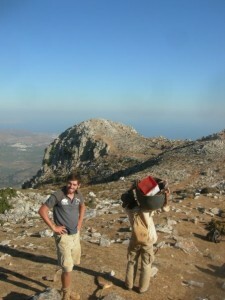 So, while celebrating the benefits and rewards associated with fieldwork, it is also important to recognise the physical and emotional demands that qualitative fieldwork can make on researchers and provide appropriate supervision and support for researchers, particularly for those doing sensitive research, within universities and other research environments. Ruth’s research focuses on gendered and generational inequalities in access to resources, caring relations, and social vulnerabilities experienced by children, youth and families, particularly those affected by bereavement, chronic illness, HIV and disability. She recently completed a collaborative research project with colleagues at the University of Cape Coast, Ghana on Access to land, food security and the intergenerational transmission of poverty in the Brong Ahafo region of Ghana (2012-14) http://www.reading.ac.uk/geographyandenvironmentalscience/Research/HER/ges-RE-Ghana.aspx which you can watch a video about here – https://www.youtube.com/watch?v=KqZLmwkN3LM&feature=youtu.be. Recent research has focused on Inheritance, access to resources and family relations in Senegal (2011-12) and Palm Oil, Land Rights and Ecosystems Services in Liberia (2012-13) http://www.reading.ac.uk/geographyandenvironmentalscience/Research/HER/ges-inheritance-senegal.aspx. 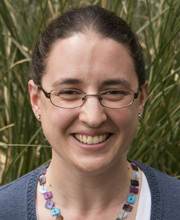 Ruth also completed a study on stigma, gender and generational inequalities in asset inheritance and the intergenerational transmission of poverty in Tanzania and Uganda (with Caroline Day), funded by the Chronic Poverty Research Centre (2010-11). 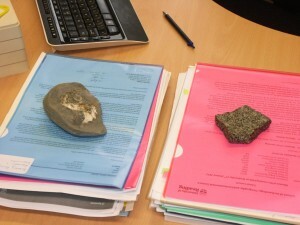 Read more about the project here – http://www.reading.ac.uk/geographyandenvironmentalscience/Research/HER/ges-resassets.aspx. 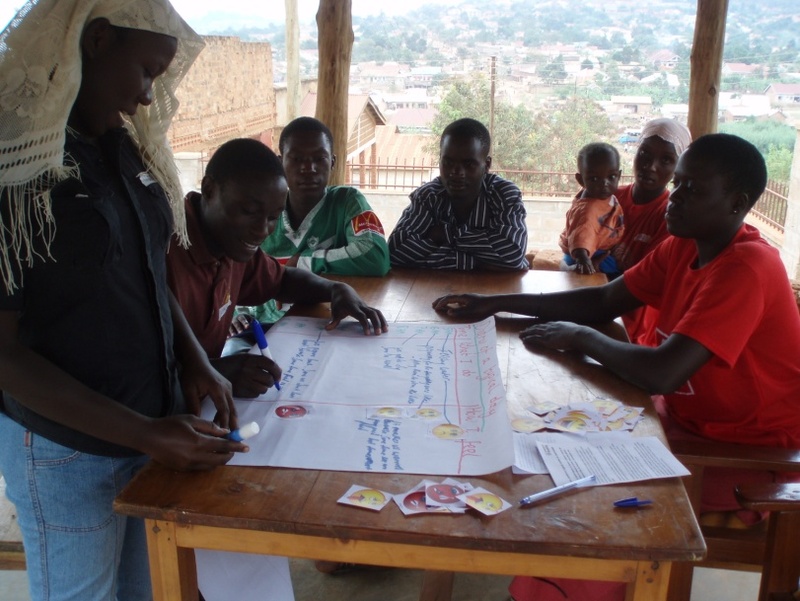 Ruth conducted a qualitative, participatory study of young people’s caring responsibilities for their siblings within child- and youth- headed households in Tanzania and Uganda, funded by the RGS-IBG and the University of Reading (2008 – 2010).